Data Recover Service - with free evaluation. Hard disk drive(HDD) and solid state drive recovery. Using advanced recovery techniques, we are able to recover a high percentage of lost data. No matter if deleted by accident, or due to a failing storage device - recovery of the data may still be possible. We operate a no recovery - no fee policy, with no investigation fee for this service. 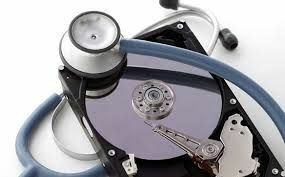 Cost of data recovery will depend on the type of device and severity of failure.